There are two rumors spreading in Mollywood like wildfire that are quite contradictory in nature. They both revolve around director Ranjith and his next directorial venture. One rumour says that Ranjith is currently busy scripting his new movie with Mohanlal and Manju Warrier in the lead, and that the director will confirm it only after completing the script. The other one says that Ranjith's next project will be with Mammootty. Ranjith has not confirmed this too. 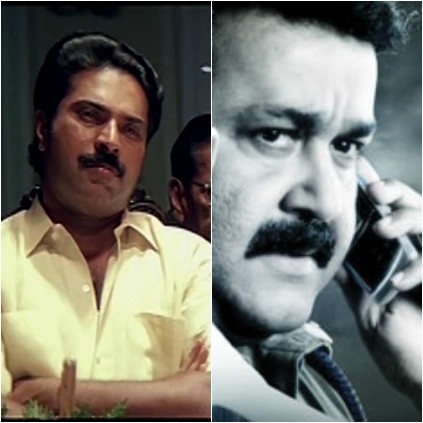 The whole Mollywood is now eagerly waiting to know if Ranjith is doing a Mohanlal film or a Mammootty film. On the other hand Mammootty is likely to team up with the Rafi and Shafi brothers who are fresh from the success of Two Countries. The last time the trio united was in 2007 for the movie 'Mayavi' which was a big success. Shooting of the project that is expected to be bone-tickling will commence next year and will be scripted by Rafi and directed by Shafi. AR Murugadoss is impressed with this latest action thriller in town! People looking for online information on Mammootty, Mohan Lal will find this news story useful.